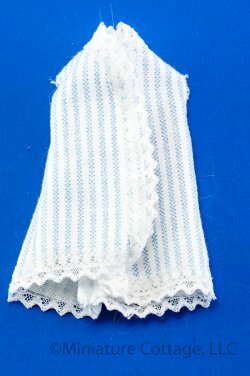 3" dress with blue stripes and white lace trim. Arm holes not finished. 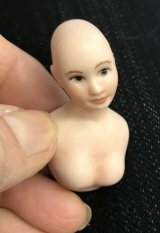 To fit an all bisque doll.